It may be summer time but it still can rain. What do you do with the kids on rainy days? Board games are a great way to entertain them. Goliath Games make so many fun board games for all ages. 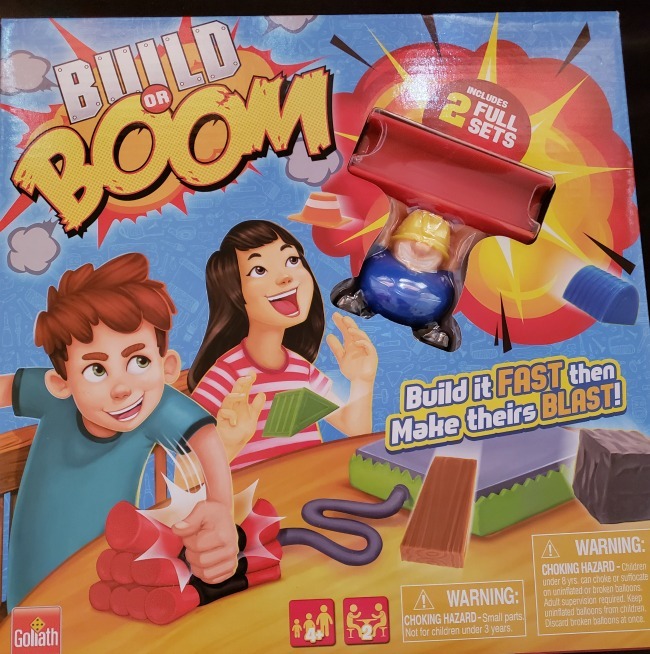 Build or Boom is really fun. I enjoyed playing with my daughter. If you aren't fast enough, another player can blow up your work. This can get really challenging. 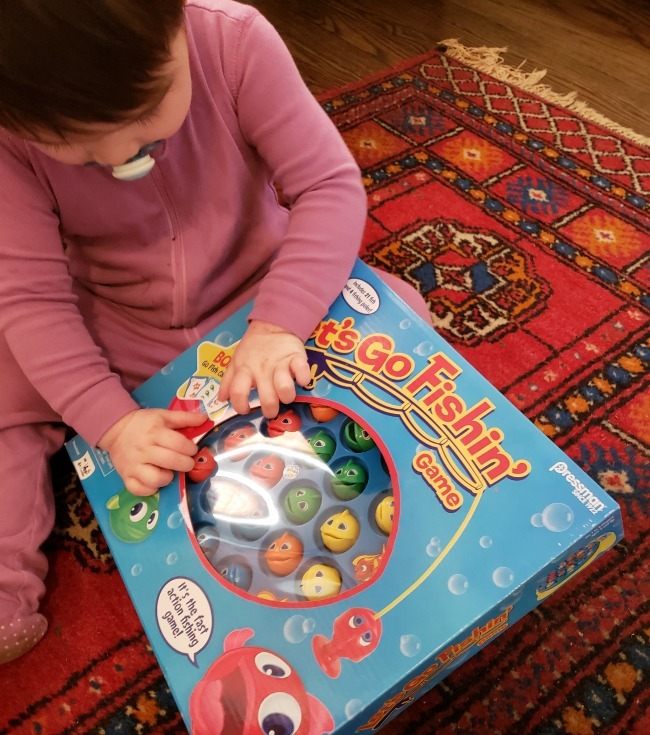 Let's Go Fishing' is super cute for the little ones in the family. My almost 2 year old was ready to play and my 6 year old. They had fun playing together. 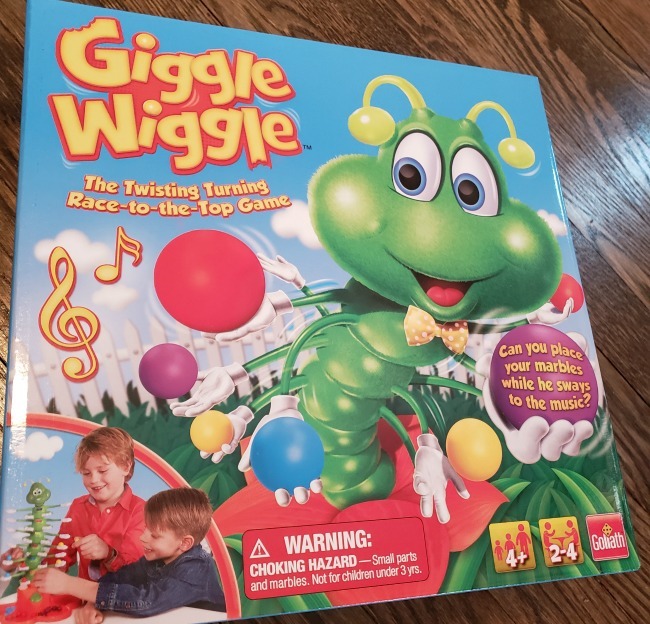 Giggle Wiggle needs batteries. He moves around. This game will bring lots of laughs. It is great for the little kids and even us old adults. Rainy days do not have to be so boring. Grab a few games and keep them in the closet. They are great for family game night and playdates. Goliath Games sent us these games for review purposes. All opinions are my own. This year at SweetSuite18 was held at Chelsea Piers. It is really beautiful there during the summer. Inside you could find the coolest balloon maze ever. 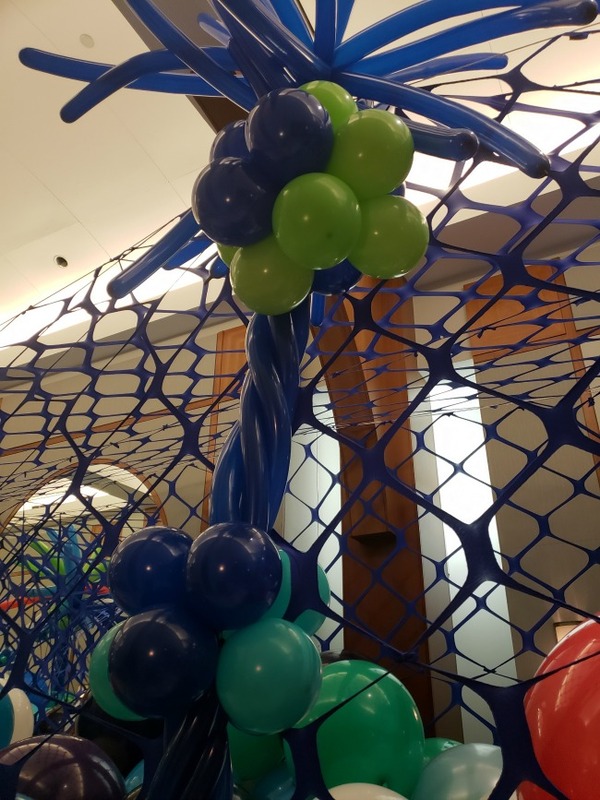 I loved this palm tree made of balloons. So creative and fun. Every year at SweetSuite you can find the greatest toy brands in the industry. This year they opened it up to the kids too. I think next year I will bring my older two kids. We certainly buy a lot of toys in our household. My daughter loves JoJo everything right now. I thought this outfit looked pretty cool. 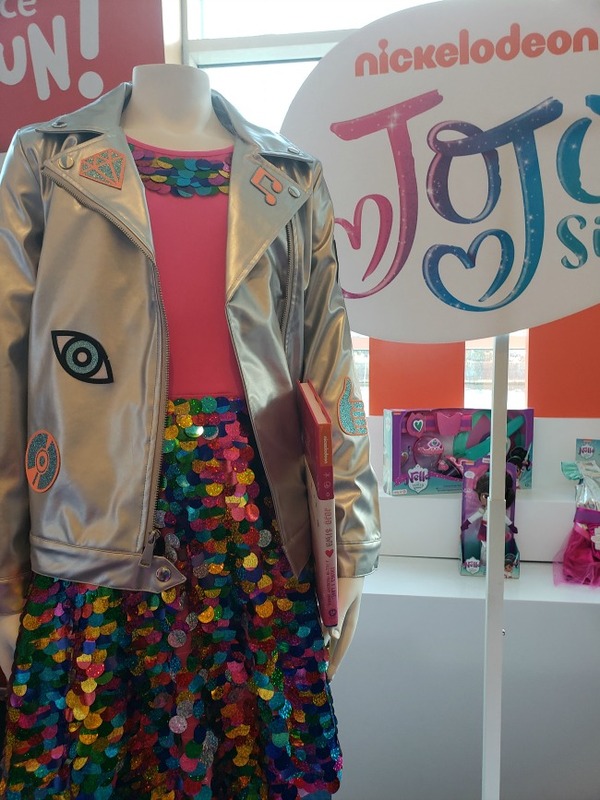 JoJo clothing line is coming to a Target near you. Our family shops at Target nearly every week. Look at that skirt. So much sparkle! Both my son and daughter really like Pokemon. My son has a crazy collection of Pokemon EX and GX cards. These figures are super cute. Pokemon is one of the shows I can tolerate on repeat. There are battle figures and cute plushies. 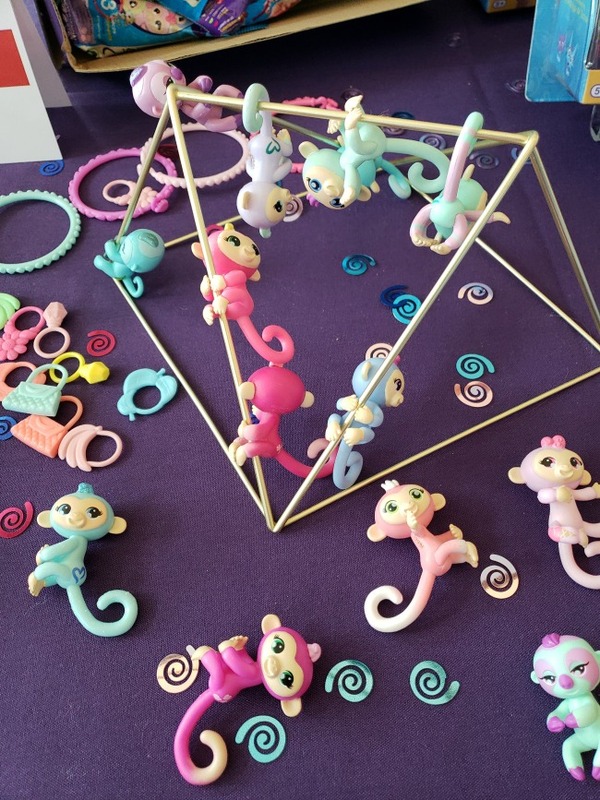 Fingerlings are very popular right now. We have a monkey and a unicorn at home. I love these tiny ones that you can put on a pencil or hang from anywhere. 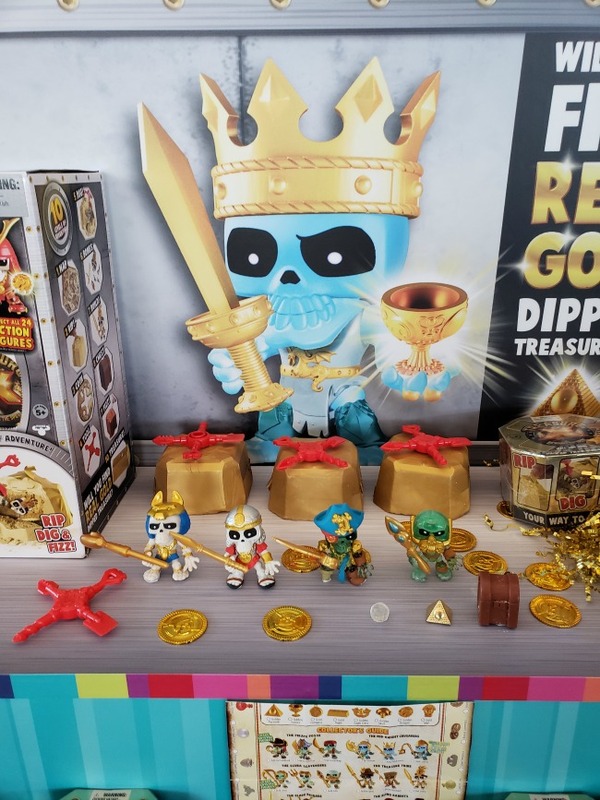 This year Moose Toys are bringing you these fun figures. They come inside a tin which has hard sand. You fizz it away and dig into it. 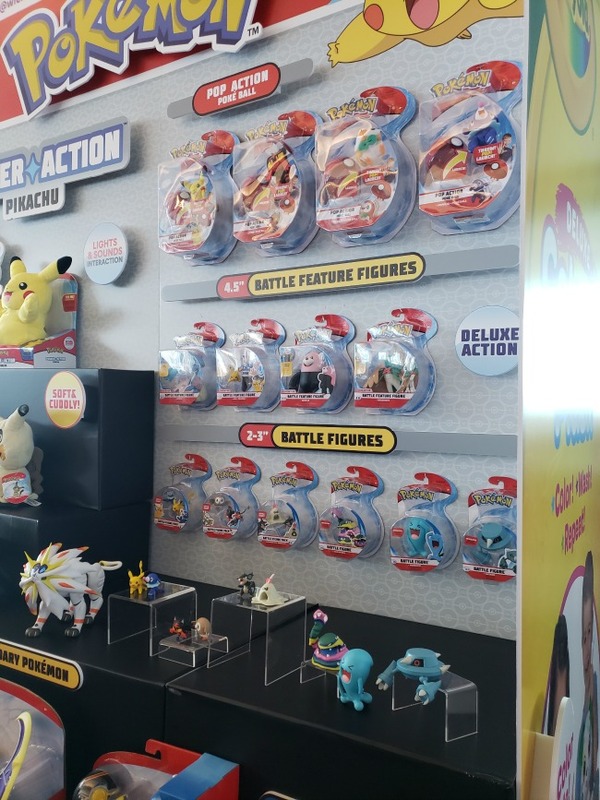 The figures are neat and could be for boys and girls. My 9 year old son can't wait to get his hands on more. I must say, overall it was a great experience. This was my 3rd year going to SweetSuite and I loved it. You even get a swag box full of toys shipped to your house. How amazing is that? If you are a blogger, influencer, and/ or YouTuber you can go. Many people book hotel rooms if they are from out of town. You can get discounted room rates for your trip. I took the LIRR train in.